England, Denmark, Norway, Finland, Netherlands, Belgium, France, Germany, Switzerland, Spain, Italy, Austria, Slovenia, Croatia, Czech Republic, Poland, Bulgaria, and Slovakia. TCMC operates the world's largest Chlorella Manufacturing operation and provides services to Customers Worldwide. 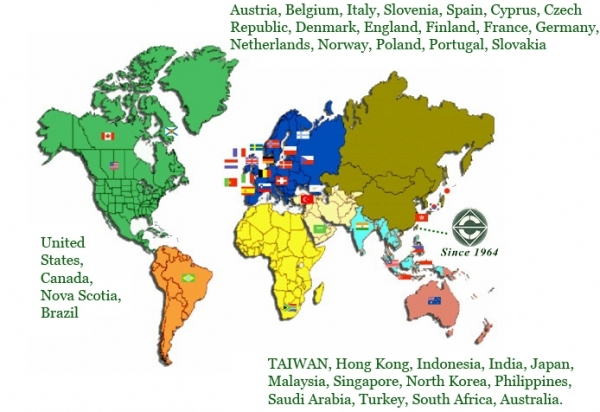 Founded in 1964, TCMC today operates in more than 35 countries around the world. TCMC has three major regional markets: Asia-Pacific, Europe, North America and Latin America, Africa and Middle East. Our products are always highly praised by our overseas customers.